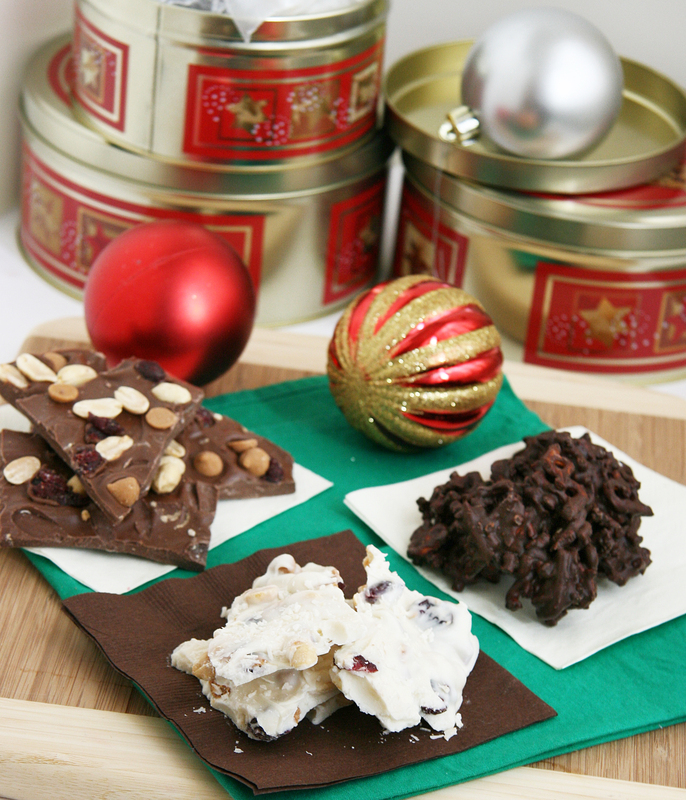 I enjoy making homemade holiday goodies for people; I love cooking for others as I find joy in sharing my treats with people that I care about. For the past 6 years or so, you can expect for me the break out the baking ingredients and whip up some candy or goodies around the holidays. This year is no different…. Now onto the homemade goodies! 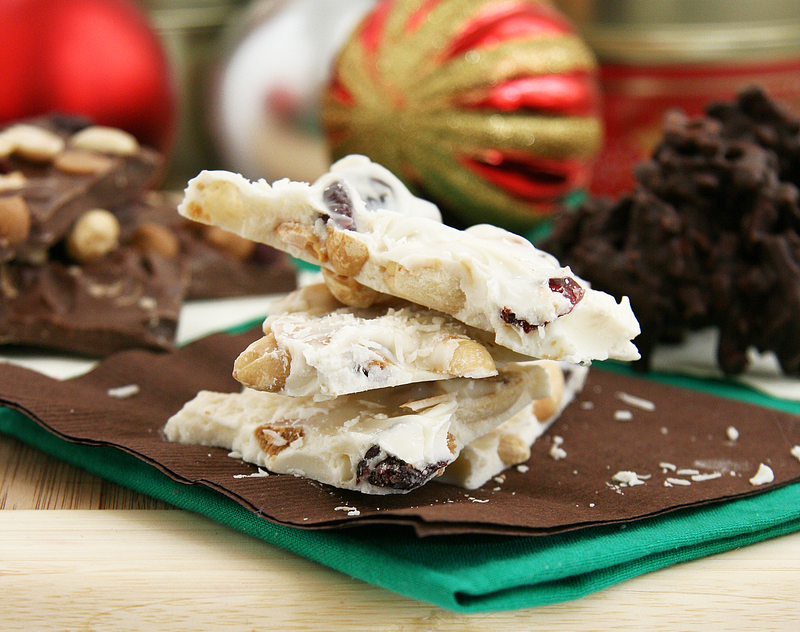 First up is coconut trail mix bark – this is a lightly sweetened treat made with homemade coconut butter and a mix of roasted peanuts and fruit-sweetened cranberries, lightly scented with vanilla and dusted with shredded coconut. 1. Melt coconut butter on low over double broiler, in oven safe dish at 200F for several minutes or in microwave for 30-60 seconds or from freshly made coconut butter while still warm (this is what I did). For an even smoother consistency, add one tablespoon of liquified coconut oil when melting over double broiler. 2. Add extracts, salt, nuts and fruit and stir to combine. 3. Spread the mixture onto a parchment or wax paper lined baking sheet, sprinkle with coconut and set in the freezer to harden (about 15 minutes). Break into pieces and enjoy! 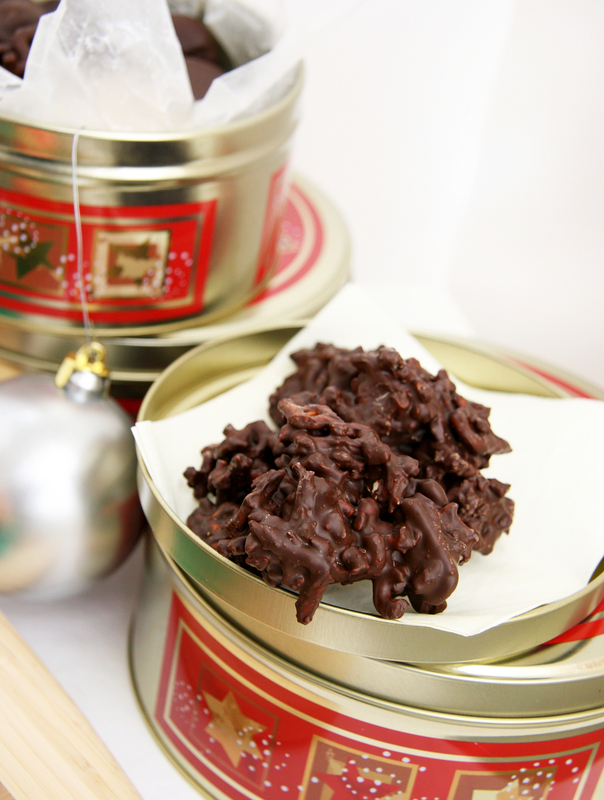 Next up – sweet n’ salty chocolate stacks…which is just a long name for chocolate covered pretzels with a few optional add-ins…so easy but so delicious! 3. Stir in pretzels gently into the melted nut butter-chocoalte mixture and other add-ins if desired. 4. Drop dough by spoonfuls onto waxed paper. Let cool until set, can refrigerate if desired. I ate too many stacks but these are OH SO GOOD! 1. In a small bowl, add dates/prunes/raisins and cover with boiling water until soft. Drain and set aside. 2. Meawhile, melt coconut oil. (I set the glass jar of coconut oil in a bowl and fill the bowl with hot or boiling water and let it melt that way). 3. Add softened dates/raisins, liquified coconut oil, nut/seed butter, cocoa/cacao/carob powder, vanilla and a dash of sea salt to the bowl of a food processor and blend until well incorporated (about 1 minute). 4. Mix 1/2 of the peanut butter chips, peanuts and cranberries into the mixture and pour onto a parchment lined baking sheet. Sprinkle with remaining chips, nuts and fruit. 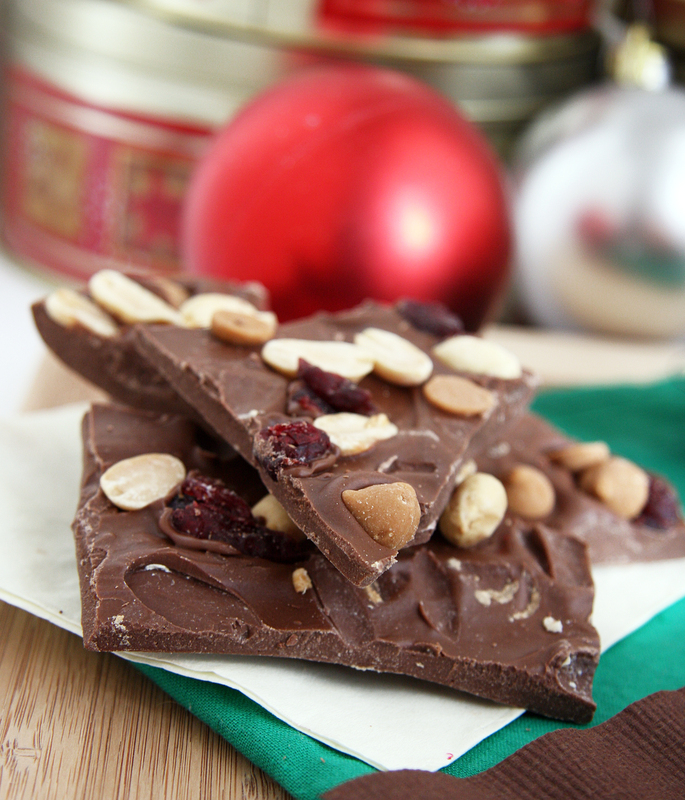 Freeze or refrigerate until hardened, break or cut into pieces and enjoy! Did you just say that after mile THREE you would crash??? I couldn’t even run 3 miles if I was eating top-notch health foods, let alone sugar. Wow. I’m impressed by you. Note to self, never challenge Nora to a sprinting contest. I loooove the coconut bark idea – I have got to try that 😀 Everything looks delicious, but I completely understand the sugar overload! Thanks Heidi! If you like coconut butter, you will love this bark 🙂 Simple, easy and a great way to incorporate healthy fats without the sugar overload in that recipe…it was the stacks that did me in, haha!